Poet, critic and translator Zacharoula Gaitanaki (from Greece)got to know me through e-mail and thanks to Teresinka Pereira's world-wide network. She sent me the poetic anthology Citizen of the World (2007) by poet Stathis Grivas, which she translated from Greek to English. 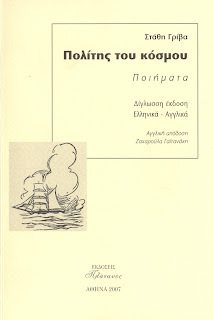 Zacharoula publishes a newsletter named "POIITIKI GONIA" (The Corner of Poetry), and was so kind as to translate some poems in Maltese to Greek. 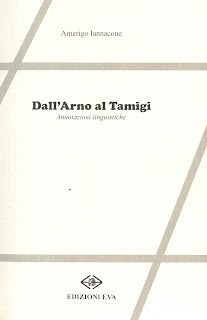 Dall'Arno al Tamigi is another book by Amerigo Iannacone of Isernia (Italy). This time Iannacone discusses a linguistic issue: mainly the interferences of Anglo-American words on the Italian language. This book gathers a number of articles Iannacone published in his monthly magazine Il Foglio Volante and also feedback given by different contributors regarding the linguistic question. The book helps a lot in reflecting about the correctness of certain words in Italian, but it also helps the reader understand better some of the contemporary Italian ways of thinking and acting regarding the use of everyday language. 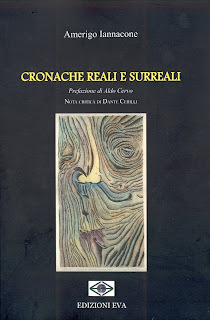 Cronache reali e surreali is the latest book published by Amerigo Iannacone. This time Iannacone invites us to read some 40 short and micro-stories which float between the real and the surreal. One reads about different contexts, persons and situations, but at the same time feels that what Iannacone presents us with are things which might also happen someday to us. The stories are all written in a very fluent language and style and the variety of themes is a guarantee against monotony. 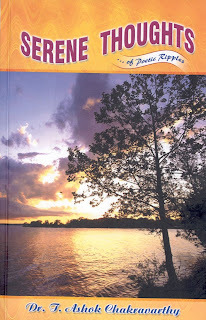 He also sent me a poetry anthology, Serene Thoughts...of Poetic Ripples (2006). It is an anthology of 70 beautiful poems which have to do with issues such as peace, war, famine, environment, injustice and inequality. The book has a very attractive presentation and a number of forwards written by different people (writers, journalists, poets, educationalists, and doctors). MMe Nadia-Cella POP from Brasov, Romania, read one of my poems in the Serbian magazine "Open World". 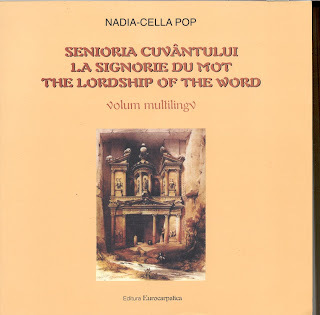 She thus sent me her multilingual poetry anthology The Lordship of the Word (2007). The book comprises poems in Romanian, French, Italian, English, German, Greek, Polish, Russian, Spanish, Arabic, Bengali and many others. Nadia-Cella POP was in Malta in 2006 and she still has fascinating memories of my island. Ironically, I visited her country, Romania, last May/June. We didn't meet in either country, but we still managed to come in contact with each other thanks to poetry. I got to know poet and journalist Annamaria Weldon from Australia thanks to an article on THE TIMES of Malta. 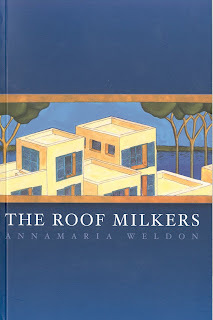 I sent her an e-mail - which she immediately answered - asking her where could I by a copy of her last publication, The Roof Milkers (2008), and she sent me one directly from Australia. Weldon was born in Malta but emigrated to Western Australia in 1984. The anthology is a collection of 78 poems, some of them reminiscent of the island of Malta, but others are directly born from the land of Australia. I'LL BE EVENTUALLY PUBLISHING INTERVIEWS WITH THESE POETS ON THIS BLOG IN THE NEAR FUTURE. η ανθρωπότητα, από πολιτισμένη σύρθηκε πάλι στο κτήνος. τις ανθρώπινες καρδιές μες στην πέτρα. η αγάπη για όλα γύρω μας καθόλου δυνατή. τόσο μακριά όσο η αιωνιότητα. συντρίβοντας το δικό μας πεπρωμένο. Translator: ZACHAROULA GAITANAKI, IWA, Member WAAC/WCP, from Greece.